No casino environment either online or offline would be complete without roulette games. Legally licensed and regulated offshore Internet casinos offer Filipino players access to legal online roulette games from computers or mobile devices. The trick is in knowing where to play, and what the legalities are surrounding online roulette gambling. That is actually the purpose of this guide. We are trying to provide insight regarding the legal landscape of online casino gambling in the Philippines. We also provide access to premium, vetted online gambling destinations that are legally sanctioned, accept Filipino citizens, and that offer off the charts quality performance for a satisfying online gambling experience. We want you to walk away from this guide with more information, armed with what you need to make an informed decision about your level of engagement with online casino gambling entertainment. The same RNG software that is used in online slots and blackjack is also used for the roulette wheel. This technology is integrated into sophisticated gaming software to deliver a fair betting experience and high end performance. All of the online roulette casinos that we list in this guide are monitored for fair gaming practices through auditing of their RNG software administered through regulatory agencies. This eliminates any question as to the fairness of playing roulette online. Before we get started, we just want to be up front and let you know that none of the casinos listed on this page offer a roulette bonus. This is largely due to players abusing promotions by betting on both red and black in order to meet the wagering requirements. So what we recommend doing is taking advantage of standard casino bonus offer. Then once you've met all the wagering requirements, the money is yours to keep or you can continue playing other games such as roulette. Is Online Roulette Legal in the Philippines? The gambling laws in the Philippines are actually pretty cut and dry when it comes to gambling. The one confusing or 'gray area' concerning online gambling was settled in 2012 when a judge ruled that the laws of the land did not make it illegal for citizens to place bets online. While this ruling does not give Filipino players access to local government run online casinos, it ensures that players don't have to worry about legal problems when choosing to play roulette online at licensed offshore gambling sites. The gambling laws in the Philippines do not prohibit residents from participating in online roulette games at offshore casinos that are legally licensed and regulated. In fact, the gambling laws in the nation do not even address player participation, but rather are directed at gambling business owners and operators. 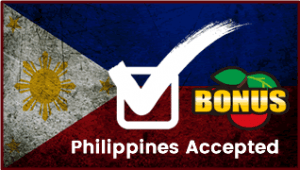 Filipino online gambling business owners are prohibited from offering their gambling services to citizens in the Philippines, but there are no laws prohibiting Filipino players from engaging in online casino gambling at licensed gambling sites that accept them as customers. Do All Online Casinos Offer Roulette Bonuses? Unfortunately no, but there are a handful that do. In fact, most of the casinos that are featured in this guide offer a nice online roulette bonus. You will typically find this type of bonus in the 'other games' category of bonus offers, but sometimes a casino will also offer a roulette specific bonus. The bonus will not be as generous as the slots bonuses, but they can still provide a nice boost to your bankroll. Like other bonus offers, there will be wagering requirements and terms and conditions that must be met in order to qualify for reaping the benefits of the offer. In the case of our recommended casino brands, they all have standard wagering requirements and T&Cs, and have proven to be of actual benefit to players. What Types of Online Roulette Games Are Available To Players in the Philippines? Each casino has at least a few versions of roulette available, including American Roulette, European Roulette, and sometimes French Roulette. In addition, some casinos offer variations of each of those roulette games. It is safe to say that there is enough roulette variety to keep players satisfied with the options. 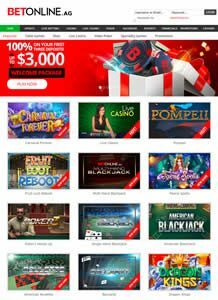 Roulette is available in both downloadable and flash instant play variations, and is compatible with PC, Mac, and mobile devices at most casino brands. One newer and very popular format for playing roulette online is through live dealer games. Live dealer roulette is a lot newer than traditional online roulette, and is only available at a few destinations. You can learn more about it on our page dedicated to legal online live dealer games. Where Can I Find Legal Online Roulette Casinos For Players in the Philippines? Being selective about where you enjoy online roulette games is imperative to your gaming experience. It will ensure you only visit legally sanctioned online roulette casinos, and it will ensure you do not land at a questionable or undesirable destination. Just because an online casino is legal in the Philippines does not mean it is operating ethically. This is why taking the input of industry professionals into consideration is a good idea. Our team of professional analysts is trained and experienced in determining the legitimacy, quality and standing of any online gambling site. This expertise results in accurate and reliable review results so that our recommendations can be trusted to include only the best that the industry has to offer. It is the one surefire way to avoid a volatile situation that could render you a victim of fraud or theft when playing roulette online. Can I Play Roulette From My Mobile Phone? Online roulette is available at multiple mobile friendly casinos that offer a web based version of their casino through a mobile optimized platform. Through innovative design and responsive technology, mobile roulette games are are compatible across most smartphones and tablets and are easy to play through these mobile applications. How Can I Fund Real Money Online Roulette Games? There are a number of safe and reliable deposit methods for Philippine players that allow you to transfer funds into your online casino account. You can choose from credit and debit cards, ewallets, prepaid methods, bank wires, and cryptocurrency deposits with Bitcoin, Ethereum, Dash, and Litecoin.